So began Vermont Senator Bernie Sanders in his inaugural speech as a candidate for the Democratic nomination for president. It was an exceedingly sunny day on April 30, 2015, as a gaggle of reporters crowded around a makeshift stage set up on a shaded stone plaza outside Capitol Hill. Sanders had tepidly approached the podium and proceeded to rattle off a laundry list of progressive causes without so much as alluding to the reason for his press conference, which was hastily announced by email. Campaign signage and materials were nowhere to be seen. Even as news outlets penned articles describing him as an unconventional, long-shot candidate, he warned that people should not underestimate him. Over the fifteen or so months that ensued, it seems that just about everyone did, including Sanders himself. 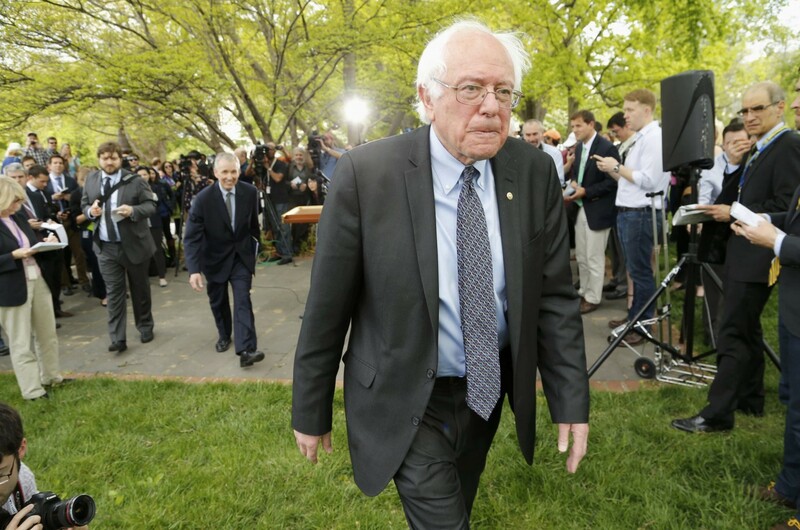 As it turned out, Bernie Sanders was walking straight into a political moment. These moments happen like clockwork in American politics. They occur every couple of election cycles when a rebellious and eccentric candidate preaching ideological purity captures the minds and hearts of previously unengaged, typically young voters. Tellingly, every moment candidate to date has failed to capture the presidency, but not before conscripting an army of fresh political zealots ready to wage proverbial war on the status quo. As one generation passes and a new rises, history unfailingly repeats itself. The original moment candidate — Senator Barry Goldwater of Arizona — awoke scores of young adults with his fiery manifesto The Conscience of a Conservative. 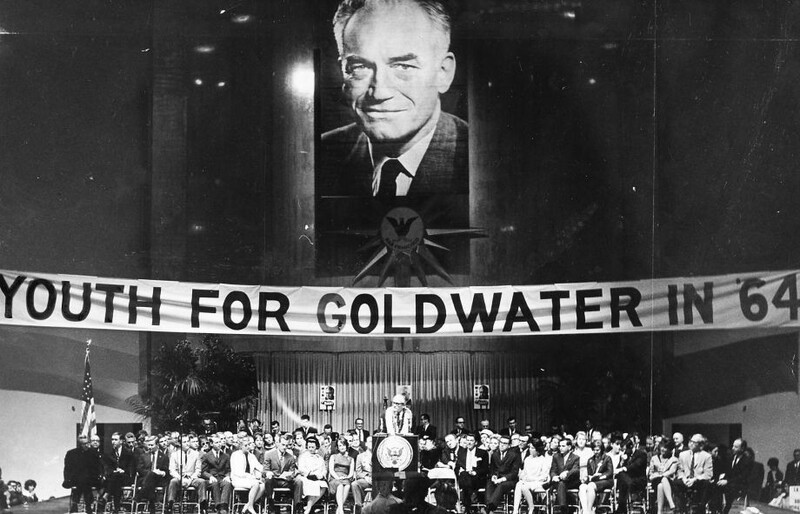 College chapters of Young Americans for Freedom — who played a large part in recruiting Goldwater to run — saw their ranks swell, and thousands of students flocked to his rallies. Many young voters — and even those too young to vote — became first-time volunteers for his campaign. They reveled in his unapologetic disdain for what British journalist Henry Fairlie had recently coined “the Establishment” — the entrenched network of aristocrats who control the levers of power. To Goldwater, Democrats and Republicans were co-conspirators, Washington and coastal elites, part of the same “eastern liberal establishment.” And they represented a pressing threat to personal liberty and conservative values. 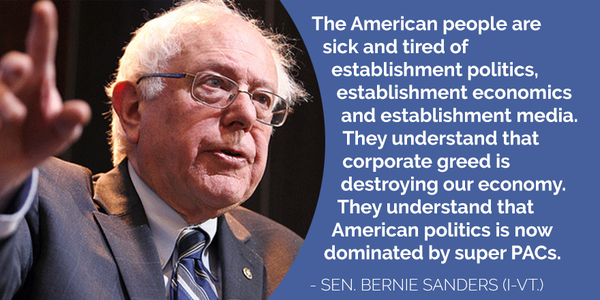 The Establishment was his enemy, and he was the enemy of the Establishment. Though Goldwater’s challenge to incumbent president Lyndon B. Johnson ended in resounding defeat, his legacy certainly did not. He unwittingly set a trend that would continue in politics for decades to come. For nearly fifty years, middle-class white college ideologues have latched onto this candidate or that, firmly believing that their political awakening has miraculously coincided with discoveries of Great Truths that escape the Brainwashed Morons that make up the electorate, and that this Great Man is going to be the one to take the country to the promised land. And so it was that Bernie Sanders became the latest in this great and prodigious line. Over the course of the 2016 Democratic primary, his campaign grew from its humble beginnings into a vehicle for yet another generation of anti-establishment crusaders. But this moment would be even more destructive than those that came before, as it would coincide with a number of cultural phenomena that made fertile ground for his message. It’s unclear whether April 2015 Bernie Sanders would hate and detest the actions of April 2016 Bernie Sanders, who ran a campaign so sordid and venomous that the soap opera analogy seems quaint in comparison. He did in the very beginning insist on sticking to the issues. But by the end of his campaign against Hillary Clinton, he had called her personally responsible for American deaths in Iraq, accused her of being involved in a money laundering scheme, declared that she was “unqualified” to be president, and implied she was guilty of bribery and corruption (in a thirty-second ad one might reasonably call negative and ugly). Bernie Sanders’ campaign was indelicate from its very inception. When rumors of his candidacy began to spread in early 2015, some discussion took place over whether Sanders could even run as a Democrat. As it turned out, there was no rule that required Democratic candidates to be registered with the party. He could run as a Democrat and maintain his affiliation as an Independent at the same time. But it wasn’t the rules that made his decision a curiosity. It was his long and well-documented history of spurning and castigating the Democratic Party. He had run against Democrats in his home state of Vermont and very openly expressed his disgust with the party, going so far as to call it “ideologically bankrupt.” He often affirmed his belief that “you don’t change the system from within the Democratic Party” and, in 1990, even declared that it would be “hypocritical” for him to run as a Democrat based on the things he had said. Hypocrisy is, for better or worse, unremarkable in politics. That can be overlooked. But this was not an isolated incident for Sanders; in fact, it was pattern of behavior stretching back decades in his political career. From his earliest years as mayor of Burlington, he has been so intensely focused on his ideology — and so utterly convinced of its manifest rightness — that he flouts all other considerations. He has no time nor care for prudence or propriety— except insofar as the consequences of such interfere with his pursuits. To him, the only thing that matters in politics is being right. And he is always right. 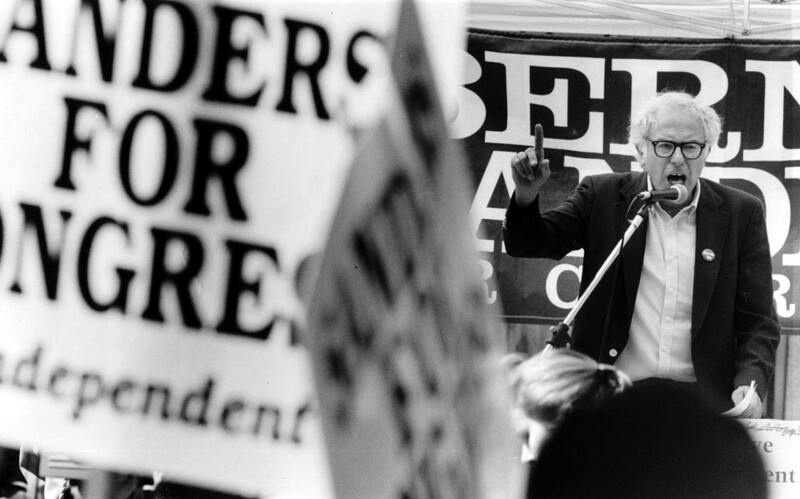 When Sanders first arrived in Washington in January 1991, he didn’t take long to establish a reputation. That same year, Congressman Barney Frank remarked of him: “Bernie alienates his natural allies. His holier-than-thou attitude — saying in a very loud voice he is smarter than everyone else and purer than everyone else — really undercuts his effectiveness.” But to Sanders, insulting a few colleagues was just the cost of doing business. What was clear then — and would become abundantly clear during his campaign for the Democratic nomination — is that he abides by an extreme consequentialist ethic. The end — his democratic socialist utopia — is so plainly desirable that it justifies any and all means. Running as a Democrat was the first sign of Sanders’ any-means-necessary approach in the presidential contest. No competition in the world has greater stakes than the race for president of the United States. One cannot simply wake up one morning and decide to run. It takes numerous years of preparation, laying groundwork, building infrastructure, forming alliances, and establishing a record. This is precisely why political parties exist — to maintain that groundwork so that it need not be rebuilt from scratch every election cycle. The beneficiary of that extensive work is typically someone who has spent significant time and effort investing in it. This was not the case for Bernie Sanders. He was utilizing the vast resources of party infrastructure with relatively little investment. Again, this may perhaps be considered proper— if a bit presumptuous — as the Democrats allowed him to do it. But that’s not the end of the story. There’s an old adage that says, “Don’t bite the hand that feeds you.” If Sanders had heard of it, perhaps he interpreted it as an invitation of reverse psychology. Like Goldwater and the other moment candidates, he considered the Establishment to be his enemy — an Establishment in which both major parties were complicit. And he made it a central theme of his campaign to an even greater degree than those who preceded him, painting himself throughout the primary as a victim and a martyr of Democratic establishment conspiracy. He believed he could have it both ways — run with the assistance of the Democratic Party while simultaneously casting it as his mortal foe. And he was right — the party couldn’t flinch, for fear of playing into his hand. In reality, Sanders was an expert at this cynical game of political opportunism, cozying up to the Democratic Party when it benefited him and villainizing it when it boosted his anti-establishment credibility. His campaign spent the latter half of the year cultivating the persecution narrative, and his supporters lapped it up. The campaign pounced on any opportunity to portray the Democratic Party as out to get them, each time precipitating a fundraising windfall. Perhaps no moment in the primary race more succinctly illustrated this phenomenon than the voter file theft in December. On Wednesday, December 16, one of the Democratic Party’s outside contractors experienced a momentary lapse of security in their voter file database. The database system, named VoteBuilder, is a service that the national party provides as a complimentary benefit to all Democratic candidates. It facilitates the storage and processing of crucial voter data that is used in fundraising, organizing, communication, canvassing, and get-out-the-vote efforts, encapsulating a major portion of the campaign’s strategy. The system includes a mechanism designed to prevent each candidate’s campaign from accessing the other’s data, but when that mechanism fails, all involved campaigns are expected to do the honorable thing and not exploit the vulnerability. On this day, as you might have already guessed, the Sanders campaign did not do the honorable thing. The logs from the system show that members of the Sanders campaign stole large amounts of proprietary data from the rival Clinton campaign. The decision to steal data — based on reporting — did not come from the top, but rather from four staffers on Sanders’ data team who decided to download it on their own. Nonetheless, the evidence was absolutely clear: the Sanders campaign was guilty — they had willfully stolen data and committed a major breach of contract and ethics. Yet when news of the theft broke on Friday, they didn’t waste any time denying culpability and depicting themselves as the victim. The campaign claimed that no data “was exported in a way that could be used by anybody.” This was a demonstrable lie, based on existing evidence and later confirmed by independent audit. 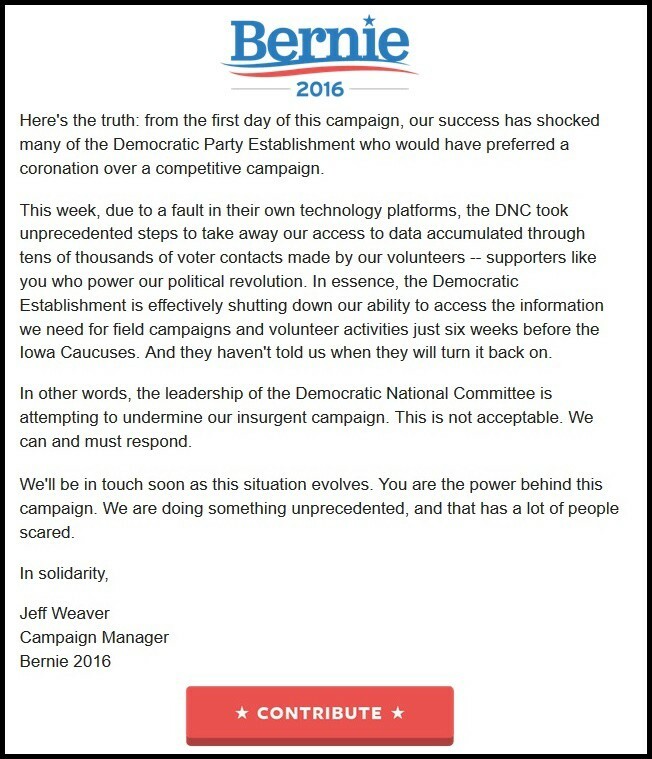 Also as a result of the breach, the Democratic National Committee (DNC) had temporarily revoked the Sanders campaign’s access to the system in the interim as a security measure to prevent further theft. They decried the move as a sinister effort to deliberately sabotage their campaign. And then promptly raised over a million dollars from the persecution story. And then bragged about it. Just when this episode seemingly couldn’t get any more nauseating, the Sanders campaign decided to sue the DNC for the temporary suspension of access. The analogy practically writes itself: a thief breaks into a house, gets caught red-handed, and then sues the homeowner for throwing him out — a ruse of stupefying hubris. The campaign withdrew the lawsuit months later after it had served its political purpose, while reiterating their refusal to accept responsibility for the theft. 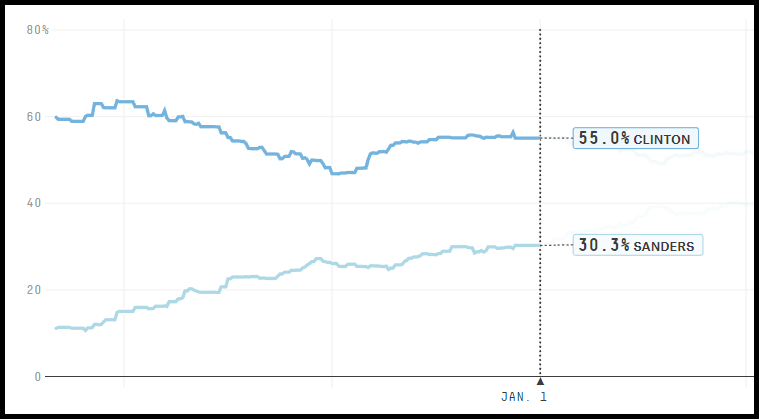 Throughout this time and as 2015 came to close, Sanders’ base of supporters only grew larger and more fervent. Instead of pausing to consider whether the campaign was behaving unethically, they dove hand-in-hand further down the rabbit hole. The geniality would soon sour for a number of reasons. 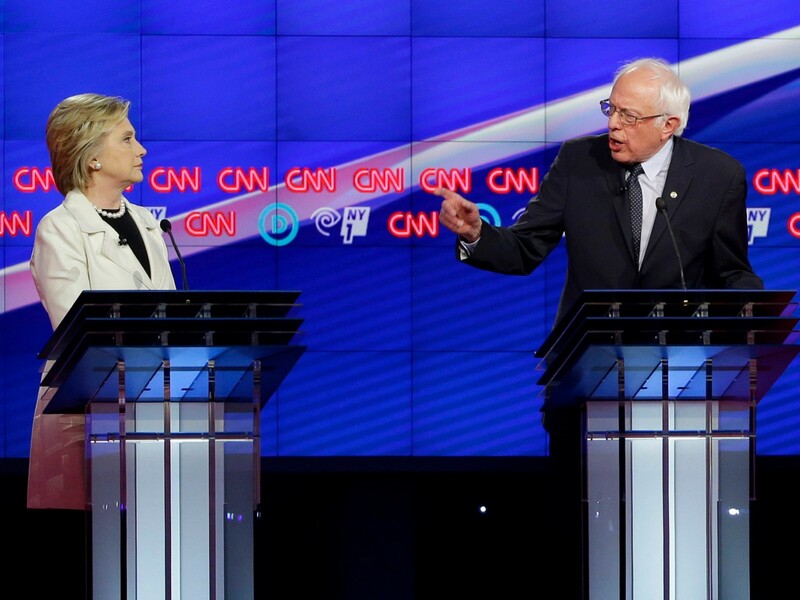 Most evidently, Clinton and her allies began to attack Sanders’ record by pointing out inconsistencies and flaws in policy areas such as gun control, marriage equality, immigration reform, women’s rights, foreign policy, taxes, and health care. When confronted with these critiques in a debate or interview, he would bristle and become visibly irritated, often reacting with exasperated incredulity — a far different tenor than typically characterizes campaign tussles — owing, once again, to his longstanding temperament. As alluded to earlier, Sanders believes himself to be an intensely well-meaning person — he just wants to help people. To be certain, his motives are not in question — every indication supports the notion that he is a True Believer in his noble causes of reducing poverty and raising standards of living. But he also believes that his pure and sincere motives put him beyond reproach to a large degree, that criticisms of his efforts are petty at best and malicious at worst, and that being forced to justify his record is insulting and beneath him. To Sanders, Clinton’s attacks were de facto illegitimate, leaving only the explanation that she was cynically distorting his record for political gain. Which of course he took personally. A more subtle dynamic was also at work within Sanders’ world that explains his increasingly extreme views. Just as he did not begin the race being fearful of Democratic betrayal, he did not start by believing that Hillary Clinton was a Machiavellian miscreant. He did, however, begin with more moderate versions of these views, namely that the Democratic Party would be difficult to win over and that Clinton’s views were not as progressive (i.e., right) as his. The process that took his thinking from the latter to the former was a gradual and insidious one. As is common with anti-establishment candidates, a significant number of Sanders’ staff and supporters were zealous adherents, devout in their servitude to the candidate and passionate in their evangelism of his message. Many were hyperactive online, on social media sites like Twitter, Facebook, and Reddit, assembling their own communities and subcultures to share their adoration for him. On the surface, nothing is problematic about this activity; however, these online communities quickly began to function as echo chambers, forming consensus views that grew inflated over time. Though Sanders himself was not an active participant on these social media websites, he did read the news and hear reports from staffers, emboldening him to speak with more candor at rallies and debates. This bolder message would then be absorbed by his followers, and the cycle would continue. The feedback loop persisted throughout the campaign, Sanders and his most fervent supporters taking turns upping the ante of combative rhetoric. As we now know, Sanders’ endeavor to tarnish Clinton’s image among liberal voters had significant help from Russian hackers sowing discord at the Democratic National Convention and social media trolls spreading anti-Clinton memes and fake news stories. Recently, he even admitted to having known the Russians were helping him — and he used it to his advantage anyway. Lesser known by the public, Sanders also received assistance from Republican-affiliated Super PACs and the Republican National Committee itself — who were beside themselves with pleasure that Sanders was doing their dirty work for them. This had been publicly reported as early as May 2015, and again, while he did not ask for their aid, he relished it nonetheless. 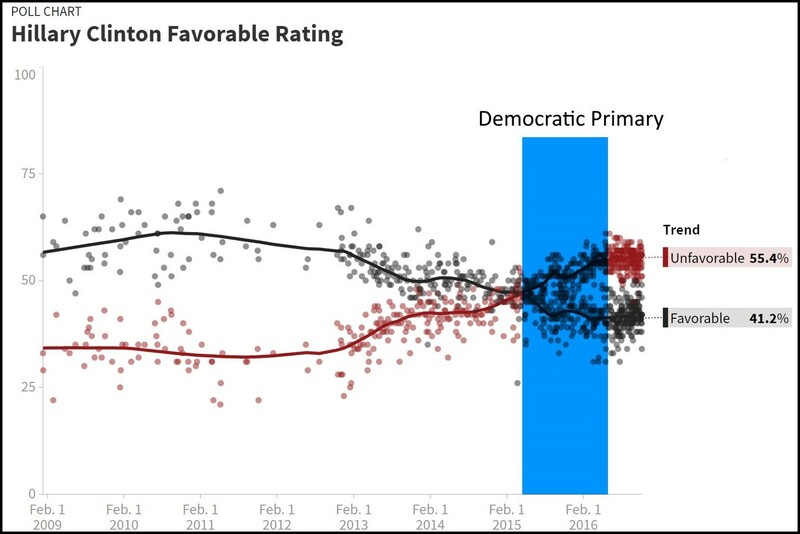 The combined efforts of Bernie Sanders, Moscow, and the Republican Party succeeded in turning Clinton’s favorable rating upside down. The first primary contest — the Iowa Caucus — was scheduled to take place on the 1st of February. But by January, the campaign rhetoric had already reached a fever pitch. Though Clinton was still the national front runner by a wide margin, Sanders lashed out at her, saying she was running a “desperate” campaign that lacked excitement. He mocked her sincerity and questioned her integrity. He tried to delegitimize her by angling for a one-on-one debate with the Republican nominee. And yes, he even had the gall to call her unqualified for the job. Anti-Hillary sentiment was spreading like wildfire in liberal circles, and Sanders was eager to throw as much gasoline on it as possible. This endeared him even further to his young, anti-establishment devotees, who nearly carried him to victory in Iowa. 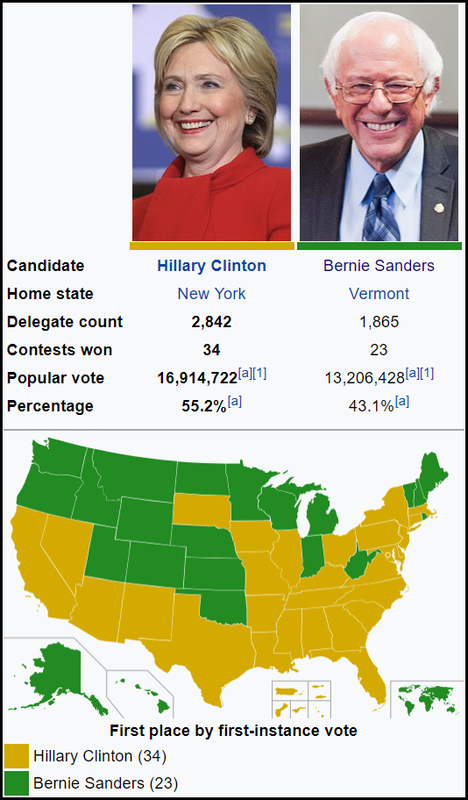 Clinton won the caucus by a razor-thin margin, yet instead of conceding, he characterized the race as a “virtual tie.” Incapable of accepting even a narrow defeat, he went on to accuse the Iowa Democratic party of losing votes. In February, Sanders continued the onslaught of engaging in gross innuendo over Clinton’s private speaking engagements. Even as he demanded that she release her speech transcripts, he was stonewalling on his releasing his own tax returns (Clinton had made available all her tax returns going back to 1977). It wasn’t until April that Sanders released a single year’s tax return, while nonchalantly claiming he had already released past years (The Washington Post awarded him four Pinocchios for “misleading the public” with this “false claim”). Despite repeatedly pledging to release additional returns, he has yet to release them as of the publishing of this article. It was during this late-winter stretch that candidate endorsements started rolling in. In an ordinary primary contest, endorsements are standard, unremarkable fare — but this was no ordinary contest. It was here that Sanders’ any-means-necessary approach kicked into overdrive, and it marked one of the most bizarre periods of the election. For one, he had a tendency to simply fabricate endorsements out of thin air. On February 4, he claimed in an ad that two New Hampshire newspapers, The Telegraph and Valley News, had endorsed him —PolitiFact confirmed that they hadn’t. Later that day, Sanders denied he had falsely claimed the endorsements— a mere five hours after their initial fact check, PolitiFact called him on that lie too. In Iowa, he ran an ad that lifted a flattering yet out-of-context quote from the Des Moines Register. The article from which that quote was lifted? The paper’s endorsement of Hillary Clinton. He sent mailers in Iowa that used the logos of the AARP and the League of Conservation Voters — implying that he had received the support of those organizations. He had not. Both groups scolded Sanders for borrowing their credibility without permission and demanded he cease using their logos (AARP does not endorse political candidates; LCV endorsed Clinton). In Nevada, Sanders falsely claimed the endorsement of immigration activist Brenda Romero. In seeking the endorsement of the Las Vegas-based Culinary Workers Union, Sanders sent staffers to disguise themselves as hotel workers in order to lobby union members in an employee-only area. 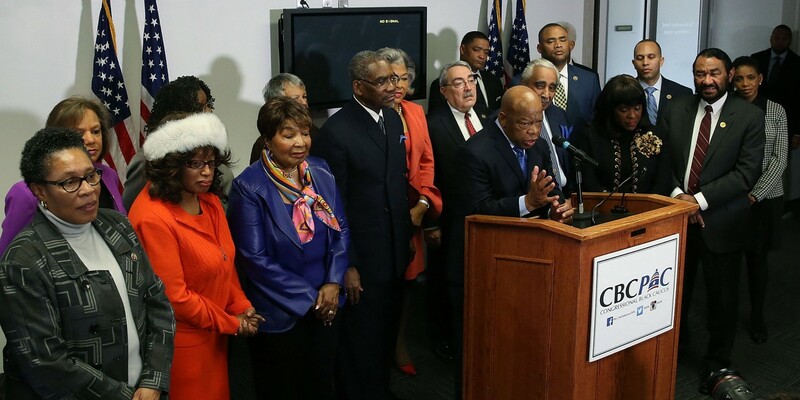 After being pressed on his record, he belatedly accepted a meeting with a coalition of national HIV/AIDS advocates, after which he touted his support of their efforts. The members of the group were incensed by the campaign “misrepresenting the meeting” and “mislead[ing] readers and the press.” His campaign astonishingly responded by smearing the advocates as shills for pharmaceutical companies. Despite all of this flagrantly unethical behavior, the public’s perception of Sanders’ honesty and trustworthiness continued to grow. The echo chamber proved more powerful than reality itself. Members of the CBC said they will campaign hard for Clinton in South Carolina over the next two weeks and vowed to court activists who might otherwise support the anti-establishment Sanders. So, I have friends and supporters in the Human Rights Fund [sic] and Planned Parenthood. But, you know what? 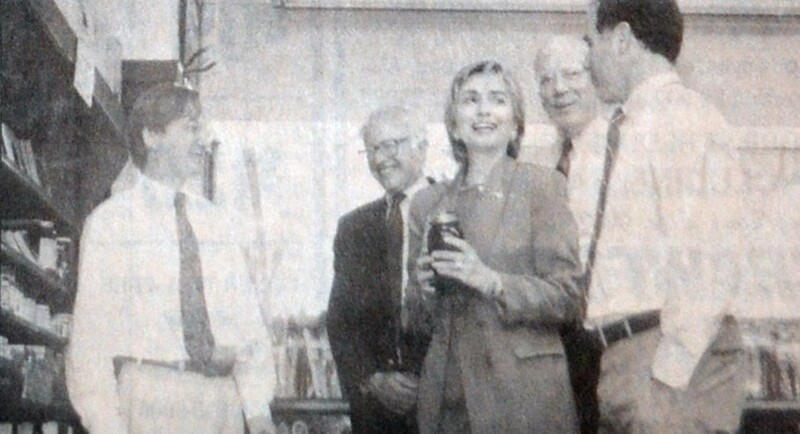 Hillary Clinton has been around there for a very, very long time. Some of these groups are, in fact, part of the establishment. By this point in the campaign, Sanders’ most loyal supporters were reaching new levels of fanaticism. They frequently lashed out at Clinton, Clinton’s supporters, the Democratic Party, pollsters, the media — anyone and everyone who failed to be as enlightened as them. They harassed female journalists and civil rights icons. They peddled far too many conspiracy theories to even count. They were paranoid, convinced the primary was rigged against them, unable to handle the reality that Hillary Clinton was winning more votes. 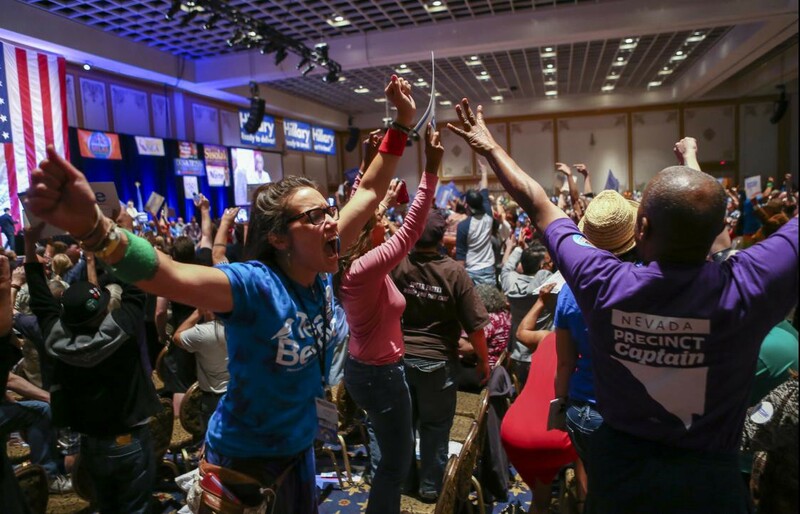 What ensued at the Paris Hotel the [day of the Democratic Nevada Convention] was anything but honest and dignified and everything but respectful and constructive as dozens of Sanders delegates exploded in anger at what they called an anti-democratic attempt to steal the convention from them. By the time hotel security shut down the event late Saturday evening, the Sanders delegates had hurled ugly epithets at Clinton surrogate Barbara Boxer, and used a sign to block her from being shown on big screens; screamed vulgarities at state Chairwoman Roberta Lange, who later received death threats after Sanders sympathizers posted her cell phone number and home address online; and threw chairs at the stage as they rushed forward to try to take control of a convention they had lost, just as Sanders was defeated on Feb. 20 by Clinton in a decisive result. The next day, a group of Sanders supporters protested at the state Democratic Party headquarters and scrawled messages (“Murdered democracy” and “You are scum” among them) on the outside walls and nearby sidewalks. Sanders, who had national campaign operatives on the floor at the Paris, has yet to comment on the near-riot his local operatives enabled as they poured gas on a fire that started with a lawsuit against the party and ignited after arguments about rules, voice votes and rejected delegates. Despite their social media frothing and self-righteous screeds, the facts reveal that the Sanders folks disregarded rules, then when shown the truth, attacked organizers and party officials as tools of a conspiracy to defraud the senator of what was never rightfully his in the first place. 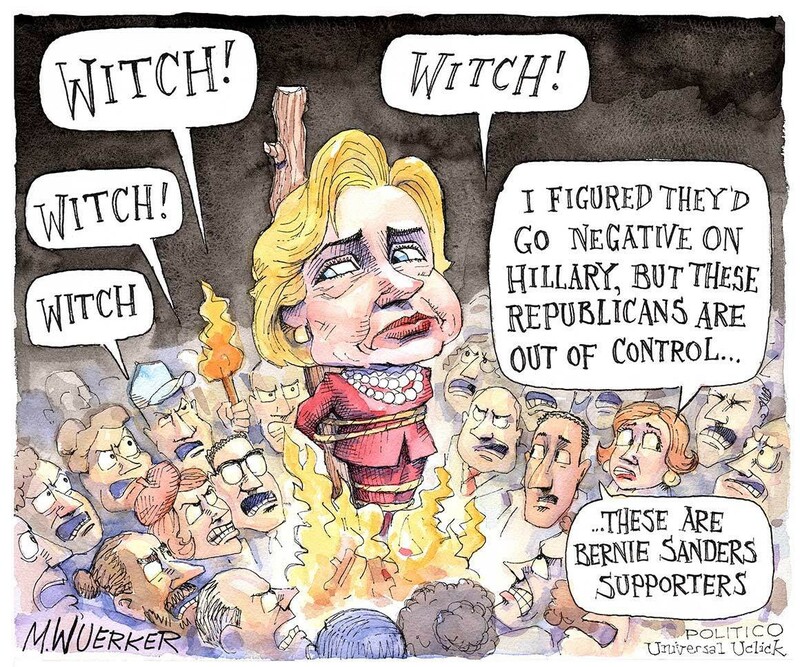 Instead of acknowledging they were out-organized by a Clinton campaign chastened by county convention results and reanimated to cement the caucus numbers at the Paris, the Sanders folks have decided to cry conflagration in a crowded building, without regard to what they burn down in the process. Sanders eventually released a statement in response to the incident — and it was harrowing. He called the idea that his supporters were violent “nonsense” (despite widely available evidence) and threw down the gauntlet, laying the blame at the feet of the Democratic Party and all but threatening that they’d experience more of the same if they dared to back a candidate other than him. His fury toward the party and toward DNC Chair Debbie Wasserman Schultz had broken loose. It was now unavoidably clear that Sanders’ unhinged supporters were not an anomaly. The problem came from the top. Far from the unassuming, aw-shucks, I’ve-never-run-a-negative-ad-in-my-life good ol’ boy, Sanders was now channeling a mob boss: That’s a nice political party you have there; it’d be a real shame if something happened to it. There are many divisions within the Sanders campaign — between the dead-enders and the work-it-out crowds, between the younger aides who think he got off message while the consultants got rich and obsessed with Beltway-style superdelegate math, and between the more experienced staffers who think the kids got way too high on their sense of the difference between a movement and an actual campaign. But more than any of them, Sanders is himself filled with resentment, on edge, feeling like he gets no respect — all while holding on in his head to the enticing but remote chance that Clinton may be indicted before the convention. Sanders knows the ride is about to stop — but he’s going to push it as far as he can before it does. And this is what is known in the industry as scorched-earth politics. 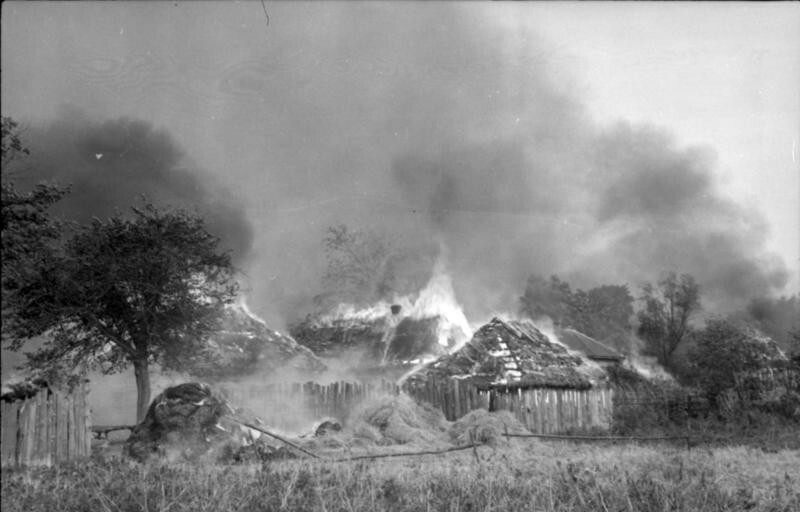 The term, of course, borrows its name from the war strategy where a retreating army chooses to burn everything on ceded land to the ground, willing to sacrifice it all rather than see it fall into the hands of the enemy. It’s an unsurprising strategy from Sanders, a man so absorbed in his unwavering sense of self-righteousness that no altruistic concern, no moral compunction could dissuade him from achieving his socialistic dreams the way he alone sees fit. At the Democratic National Convention, Sanders would offer Hillary Clinton a belated and begrudging endorsement. His pledge to campaign for her in the general election only ended up being a handful of rallies in the fall. All the while, he and his wife Jane were giving a wink and a nod to supporters that their support for Clinton wasn’t as genuine as it seemed. But even more earnest support from Sanders couldn’t have turned back time. His plot of political arson had exacted its irreparable damage. Like the moment candidates of yore, Sanders’ reckless anti-establishment crusade succeeded only in empowering his greater ideological foes. Oh, and he wants to do it again in 2020.